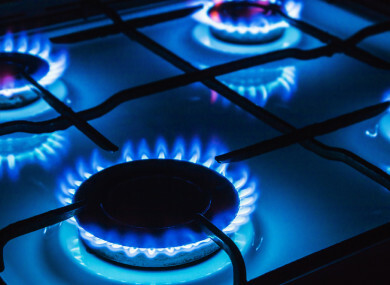 ELECTRIC IRELAND WILL raise its residential gas and electricity prices from April, the second price increase for its customers in less than a year. The company blamed sustained increase in the price of buying wholesale energy as it announced its prices would rise by 4% from 1 April, ending a winter price freeze for its customers. It means those with the company will pay €3.20 more per month on average from April, while gas customers will pay an average of €2.49 extra a month, based on typical residential electricity and gas customers usage. The company said that it had attempted to keep its energy prices down, but had “reluctantly” been forced to raise costs “against the backdrop of much higher wholesale energy costs”. “Electric Ireland is absolutely committed to keeping energy prices as low as possible. Last November, while some other suppliers increased prices,” executive director of Electric Ireland Marguerite Sayers said. It is the second time the company has raised prices in the last 12 months, following 6.2% increase last June. Commenting on the announcement, Eoin Clarke of Switcher.ie said the period of reassurance for Electric Ireland customers was now over. “Less than 12 months ago we saw Electric Ireland hike prices, and when combined with this latest increase, it means customers will have seen their dual fuel bills go up by a total of €179 come April which will undoubtedly put a strain on household budgets,” he said. Clarke added that the company was the seventh energy supplier to raise prices over the course of the winter, meaning that the majority of Irish households had been hit by price increases in recent months. Email “Electric Ireland announces 4% price increase on gas and electricity from April”. Feedback on “Electric Ireland announces 4% price increase on gas and electricity from April”.